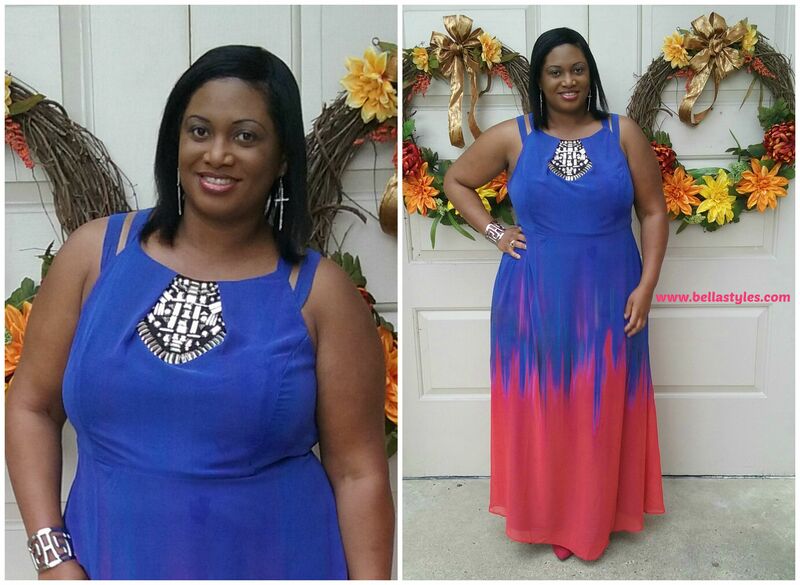 Today for church I wore this beautiful ombre print maxi dress ($132.50). It’s by a brand called Grazia and is available at Simply Be. This dress fit perfect on and the silver gem detailing in the neck area made it unique. You can’t really tell until you see the dress in person but the blue to red ombre has hues of not only red but pink and purple too. But I played it safe and just wore plain ole red pumps with the dress.